Obituary for James G. Green | Kostanski Funeral Home, Inc.
James Grover Green III, 81, of Willmark Ave passed away Tuesday, 1/29/19 at Baystate Franklin Medical Center in Greenfield. He was born in Buffalo, NY on July 26, 1937, the son of Eloise and James G. Green II. Jim's early years were split between the family farm in Batavia, NY and their home in Southbury, CT, where he graduated from high school before continuing his education at the University of Connecticut. Jim served in the United States Army for a number of years in the sixties, with a majority of his service spent stationed in Japan. Later in life he was a financial advisor at CGG Financial Services until his retirement. 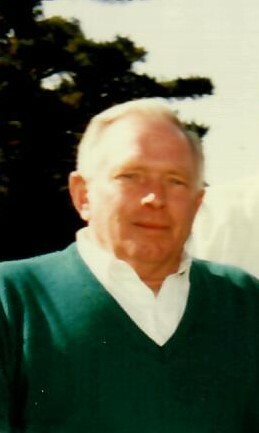 He enjoyed golfing, reading mysteries, fishing with family and friends, and was a loyal follower of the University of Connecticut sports teams. Along with his beloved wife of thirty years, Barbara (Provost) Green, he leaves his two children with his late wife Barbara (Angier), Christina (Green) Ferraro and her husband Vinnie and James Green IV and his partner Linda Candella; his step-children, Melissa Stetson and her husband James Fitzgerald and Marcus Stetson and his wife Melissa; six grandchildren, Emily and Clarese Gardiner, Jessica and Jocelyn Ferraro, and Benedict and Brianna Candella; and several nieces and nephews. He was predeceased by his parents, and a sister, Pauline (Green) Neophipos and her husband Gerald. Funeral services and burial will be private and held at the convenience of the family. There will be a celebration of Jim's life on Saturday, February 16th at noon at Terrazza Restaurante at the Greenfield Country Club, 244 Country Club Road, Greenfield. In lieu of flowers, memorial contributions may be made to the Turners Falls Fire Department, 180 Turnpike Road, Turners Falls, MA 01376.